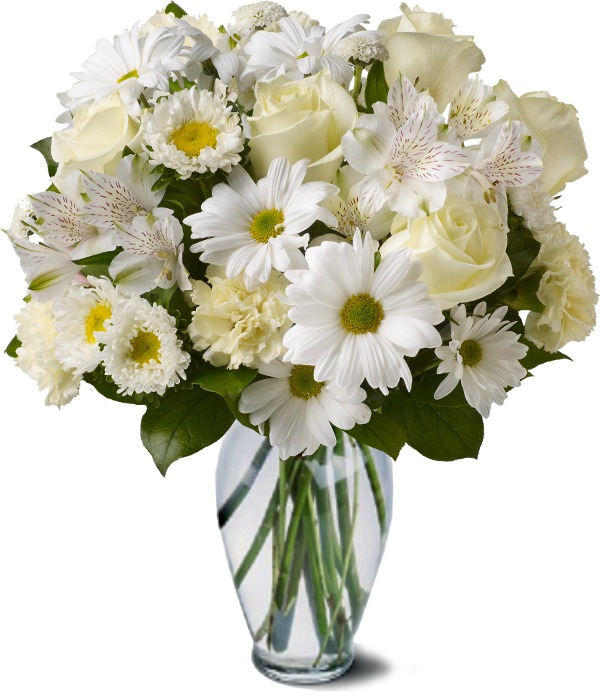 This charming bouquet is blooming with enchanting flowers. This bouquet was expressly put together for the lovely mixture of floral scents. Included are: roses, mini carnations and carnations, and daisies presented with fresh filler flowers and complimenting greens. To allow these beautiful flowers to last much longer, they are shipped fresh, budding, and ready to bloom. Vases and greeting cards are available during check out.